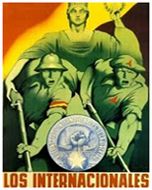 A documentary with two Irish members of the International Brigades and their accounts of the time. 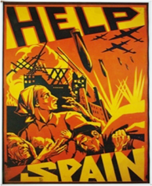 The International Brigades (Spanish: Brigadas Internacionales) were military units made up of volunteers from different countries, who traveled to Spain to fight for the Second Spanish Republic in the Spanish Civil War between 1936 and 1939. Bob Doyle was born in Dublin. He was a lifelong rebel and champion of radical causes. He joined the IRA and served in the British Battalion of the International Brigades. During the Second World War he was a merchant seaman and settled in London, where he later became a Fleet Street print worker and union militant. He followed socialist republican Kit Conway to fight in Spain and was captured along with Frank Ryan, expecting to be executed at any time. 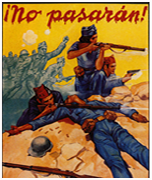 This entry was posted in News and tagged Brigadista, Irish Brigade in the Spanish Civil War. Bookmark the permalink.